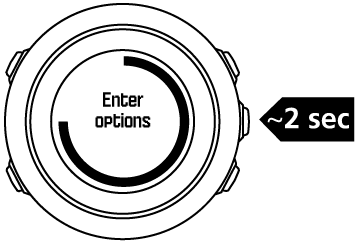 You can change the settings of your Suunto Traverse directly in the watch, through Movescount, or on the go with Suunto Movescount App (see Movescount mobile app). Scroll the menu with START and LIGHT. 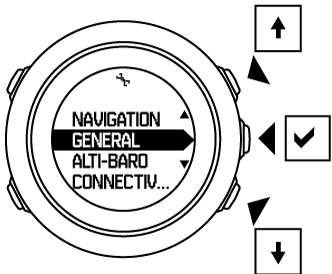 Press START and LIGHT to adjust the setting values and confirm with NEXT. Press BACK LAP to return to the previous menu or keep NEXT pressed to exit.